Gold leaf covered screen with red and white plum blooms.It is easy to set up and the price is affordable as well. 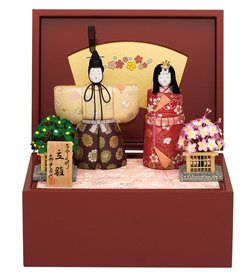 This set is popular for various purposes such as gift, not only for the doll festival. 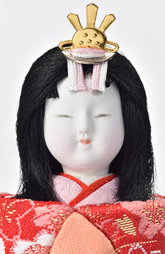 There used to be a custom to float the paper hina dolls on a river as a ceremony to drive away evil spirits. 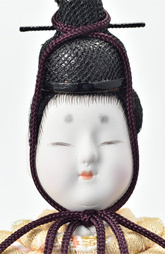 It is said that shape of standing hina dolls are copied from the paper hina dolls.